Some voices have such a unique sound and power that once you’ve heard them you always know them. Maura O’Connell has a voice like that, a rich contralto to make you stop and listen. But along with that gift, Maura also brings a level of musical intelligence and taste that separates her from those singers whose primary virtue is a great set of pipes. “I’m a song interpreter,” says Maura, “A good song is a good song. That’s why I sing songs from such diverse corners of the globe and from such diverse corners of the poetic spectrum.” Her singing has taken her from her native Ireland, where she grew up singing along to her mother’s collection of parlor songs and light opera records, to a stint with traditional group De Dannan. She moved to Nashville when she fell in love with progressive American roots music. Known as a songwriter’s singer, her collaborators include Béla Fleck, Dolly Parton, Alison Krauss, Edgar Meyer, Tim O’Brien, and her longtime producer Jerry Douglas. Maura has released eleven critically acclaimed albums, including 2009’s Naked With Friends, which was nominated for a Grammy. Equally comfortable singing a cappella as with a band—and in either English or Irish—she’ll be accompanied tonight by guitarist John Mock and bassist Don Johnson. 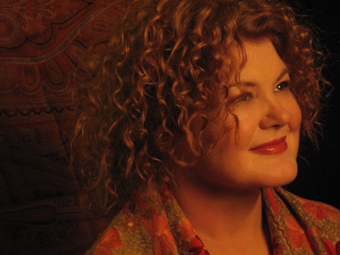 For a thrilling night of vocal artistry, don’t miss Maura O’Connell at the Freight.